The Leeds Iron Foundry was owned and operated by Charles Leeds. It was located at Delord and Constance Streets during the Antebellum period of the nineteenth century. The foundry was opened in 1824. Leeds became a partner in 1844 upon his father’s death. Before the Civil War, this foundry was the most prolific producer of “steel cotton bale presses” in the world and was one of the most important foundries in the South. It maintained several hundred employees for the production of various iron plantation equipment. The Leeds Company was successful enough that it actually issued its own banknotes, a common practice at the time. Today, the area which once housed the iron foundry is home to the Preservation Resource Center. This particular building in the foundry complex was built to serve as storage space and showrooms, so it was ideally suited for the new center. 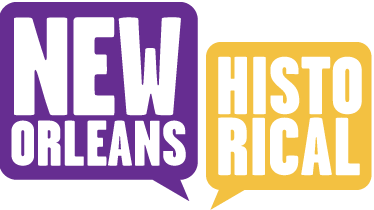 This organization was founded in order to help preserve the architecture in the city of New Orleans. It is open to the public. The site of the Leeds Iron Foundry can be found on the US Register of Historic Places. "New Orleans Foundry." : 923 Tchoupitoulas Street, New Orleans, La. Designed and built by Gallier, Turpin, and Company (ca. 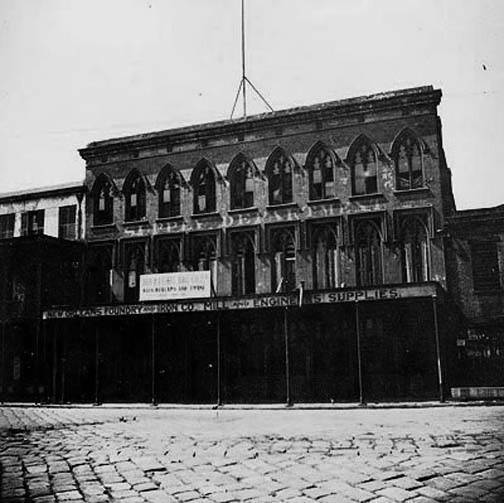 1850s), this Gothic style building was placed on the National Register of Historic Places in 1976. ~ Source: Image courtesy of New Orleans Public Library, Contact Print Photograph Collection. ~ Date: Ca. 1909-1915. Paul Zachry and Kathryn O'Dwyer, Editor, “Leeds Iron Foundry,” New Orleans Historical, accessed April 24, 2019, https://neworleanshistorical.org/items/show/1047. Administrations of the Mayor’s of New Orleans: Leeds.” Charles J. Leeds. Web. 20 Mar. 2013. http://nutrias.org/info/louinfo/admins/leeds.htm. “Vintage Machinery History.” Leeds & Co. Web. 20 Mar. 2013. http://vintagemachinery.org/mfgindex/detail.aspx?id=1490. “Leeds Iron Foundry – New Orleans, LA – U.S. National Register of Historic Places on Waymarking.com.” Leeds Iron Foundry – New Orleans, LA. Web. 20 Mar. 2013. http://www.waymarking.com/waymarks/WM14QA. “History of The Leeds-Davis Building.” Preservation Resource Center: About PRC: Location. Web. 20 Mar. 2013. http://www.prcno.org/aboutprc/location.